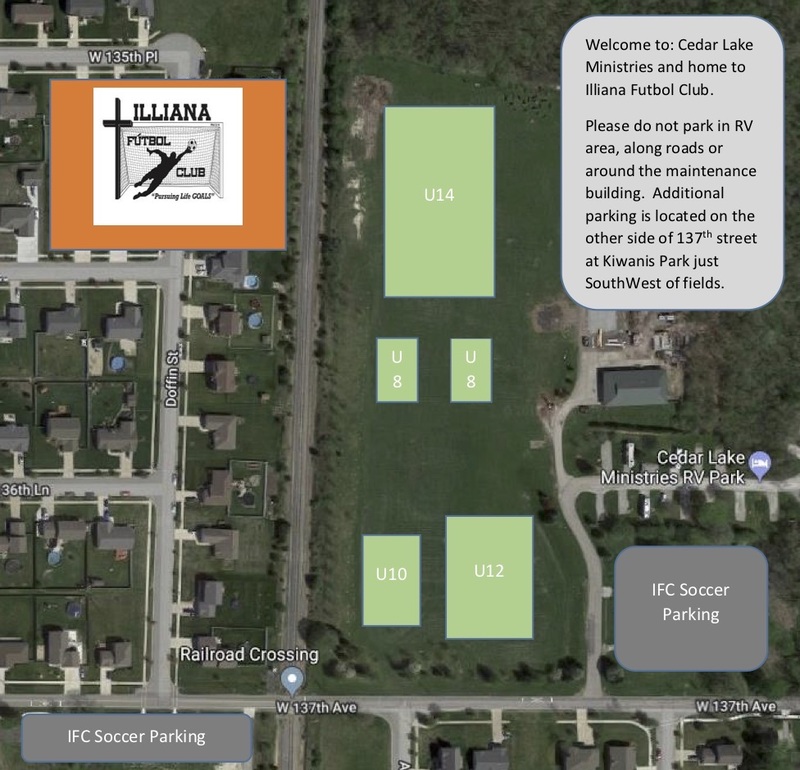 IFC Outdoor practices and home games are held just outside the Cedar Lake Ministries RV Park, 8816 W 137th Ave, Cedar Lake, IN 46303. Please PARK ONLY IN THE DESIGNATED PARKING AREAS! Out of respect for Cedar Lake Ministries and for the campers who utilize the RV Park, don’t park around the maintenance facility or the campground. Thanks!